Alaska Native News Aug 31, 2018. 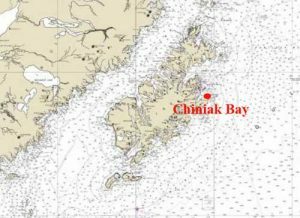 One person is deceased and another was rescued in a vessel accident in Chiniak Bay on Thursday afternoon the Alaska State Troopers revealed on Friday morning. According to the report from AST on the trooper dispatch, the Coast Guard informed the Kodiak-based troopers of an on-going search for survivors of an overturned 22′ Hewescraft at 3:15 pm on Thursday. 32-year-old Brandon Jensen of Kodiak was pulled from the water after clinging to the overturned boat for over two hours. 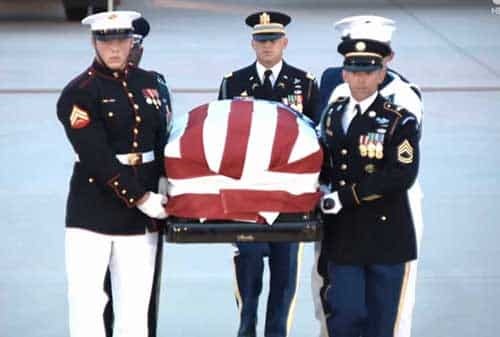 He was rescued by a passing vessel that he was able to flag down. At 4:45 pm, the Coast Guard informed troopers that they had located the other occupant of the vessel after a search of the area. When found by USCG, 60-year-old Welby Jensen was deceased. Jensen’s next of kin have been notified of the development and his body will be transferred to the SME’s office in Anchorage for autopsy.